Obtain an ancestor chart and fill in the information you already know. It's best to use a pencil since you'll likely update and revise entries as you go. Enter your name, birth date, and birth place on the left-hand side. When you come to a vertical line, enter the father's name on the top and the mother's name on the bottom. By always entering the male name at the top of the vertical line you will see the surname pattern continuing down through the generations. Always use the maiden name for females. Once you have filled in the chart with all the information you know, then ask your relatives to help you fill in the blanks. Generally, you need to get back to at least one person who was alive in 1940 and was listed on the 1940 U.S. Federal Census. Then you are on your way! While you are asking living relatives about their knowledge of the family, you can fill out a family group sheet for each of the separate families listed on your Ancestor Chart. By filling out the Ancestor Chart and related Family Group Sheets, you can see clearly what information you don't know and need to research. This is a good time to begin using Census records to see where your family was in 1940 and then work back every ten years to create an outline of where they were living and who they were living with. Bring your charts to the Genealogy Center on the second floor of the Main Library and one of our staff members or volunteers will point you to the resources (either online or in our library) which will help you fill in the blanks. Many learning resources are available online for beginning genealogists. Explore the tutorials available from Ancestry Library Edition Learning Center when you're at a branch library. You will need headphones to listen to the audio portion of the tutorials. 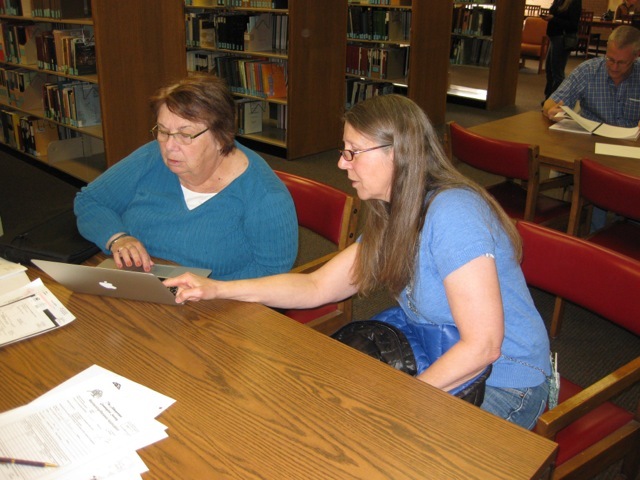 The genealogy societies in Albuquerque and the Genealogy Center also often offer workshops and classes to help you hone your genealogical research skills. See information about Research Assistance. You will want to record your progress and discoveries throughout your family history research. Genealogists have developed forms researchers commonly use to track their progress. Many of these can be downloaded for free from the internet.